I have to begin by declaring something of an interest. Before becoming a priest in the Church of England I was an entrepreneur and writer of business books. 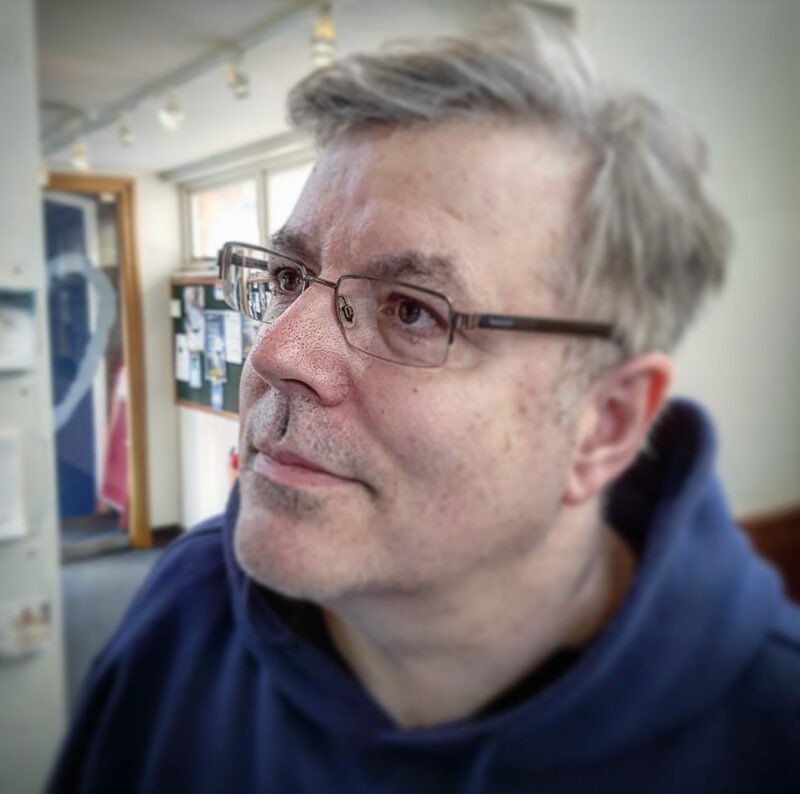 For the majority of the time I ran my brand agency I was a non-Christian. Looking back, I think we managed to be a highly ethical business with no direct input from Christian sources. At one point I hired an ex-priest who came to work for us. I remember him saying that we were far more ethical than any Christian organisation that he had ever worked for. In fact he said that we were the most Christian place he had ever worked. So you’ll probably realise why I have a few problems with this book by Goossen and Stevens, who at times seem to make a claim for the moral high ground for especially Christian entrepreneurial leaders. But let’s begin at the beginning. This is certainly an admirable enterprise and it sets out to ask and answer some pertinent questions. Are entrepreneurs born, not made? What difference does a Christian faith make to being an entrepreneur? Where does leadership come from? The book begins with some interesting section on what entrepreneurialism is – what is its essence. This is clearly an important issue for the church. There is perhaps an inherent dualism whereby church is seen as a place of holiness and work a place of toil and compromise. The authors are keen to help us torpedo this. The authors are persuasive in their conviction that entrepreneurialism is a process more than a genetic or societal disposition. This is liberating and helps us see that we all have the ability to innovate and embrace change. They draw on the work of that great hero of modern management, Peter Drucker who argues that there is no such thing as an entrepreneurial personality. The authors suggest there are five tenets that make up the essence of entrepreneurship – innovation, seizing opportunities, enjoying it, doing risk analysis and developing good habits. The book is interesting in its dissection of what makes a leader and the particular challenges of being a Christian leader. This is especially true when we begin to grapple with what it is to be a servant leader. There could have been much more on this – perhaps a whole book. Goossen and Stevens move onto the thorny issue of what exactly is the difference between the Christian entrepreneurial leader and the secular one. This had me gripped and although I didn’t agree with it all, it is a discussion that needs having. The authors highlight a major difference between the two categories in terms of worldview. Thinking back to my time as a non-Christian entrepreneur, that does hold water. The authors suggest that the worldly entrepreneur tends to spin a narrative of self-making, eliminates God from the equation and does it mainly for self-fulfilment. I wonder if this is just too partial. Many non-Christian entrepreneurs I know are driven by far more complicated and also altruistic motives for their work. It is so easy to sound self-righteous. The authors position the Christian entrepreneur thus. They,credit God, they look to their faith for ethical anchors (the ten Commandments come in handy), and they develop spiritual gifts in themselves and others for the glory of God. The book covers much important ground. It looks at how being a Christian adds meaning and purpose the work. It gives a blueprint for how to put practical Christian entrepreneurial leadership to work. And this is perhaps the most useful and cogent part of the book. This is no trot through the Bible it is a programme for how to become the leader God wants you to become. It is in these chapters that we begin to get a sense of the author’s passion and deep scholarship. I have a few minor quibbles. The points for reflection and discussion are a little twee and seem grafted on. But this is the case for many Christian books that try to cram a bit of interaction and perhaps to open up their market to home groups and other discussion groups. What does work well is the tone. The book is beautifully written by people who thought long and hard and prayed about it. There could have been more about being an entrepreneur in church perhaps, but the authors are on the money when they describe the world of work and commerce as the great mission field and testing ground. You have only to spend a few hours in the City of London at rush hour and see the tens of thousands of people going to work or returning from it to wish that we had more engagement here. The City is steaming on, the world is moving apace and we can’t afford to be stuck in churches while ignoring the great opportunities that are out there. This book will encourage people to see their calling and to go for it. In that it is positive. I would have liked to see more credit given to non-Christian entrepreneurs but probably that’s just me being fussy. Entrepreneurialism can be Godly. Thank God for that. 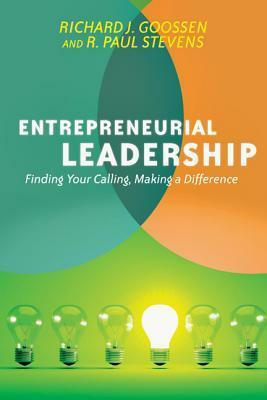 “Entrepreneurial Leadership” by Richard j. Goossen and R. Paul Stevens was published in 2013 by IVP USA (ISBN-10;0830837731). 185pp. Steve Morris is the parish priest at St Cuthbert’s North Wembley. In earlier days he ran a brand agency, worked as a journalist and wrote books about management.